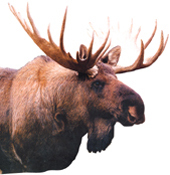 Welcome to Expedition Log Homes-Midwest, your #1 supplier for custom built log and wood structures! Whether it's a beautiful log home or cabin by the lake, whether its a unique wood sided home in a suburban setting, or a fantastic commercial structure that sets your business apart from all others. 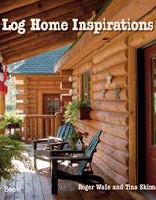 At Expedition Log Homes we can make these "log dreams" come true. As you page through the site, follow the tabs in order and they will take you through the process on how to take your project from the planning stage- where you are now, to the completion stage where you are setting on that porch, standing on that deck, or relaxing in the loft! Our goal is to find out who you are and what your needs are and then show you where we can take you. At Expedition Log Homes when we say "let us be your guide" we mean it! With our years of experience, quality products and service, and our commitment to your unique project- we are here to guide you from start to finish. Please start this journey with us by viewing the Expedition Log Homes slide show- it will give you a quick over view of what Expedition Log Homes is all about. After that, page through the site and explore all aspects of how Expedition Log Homes will make your "log dreams" come true.